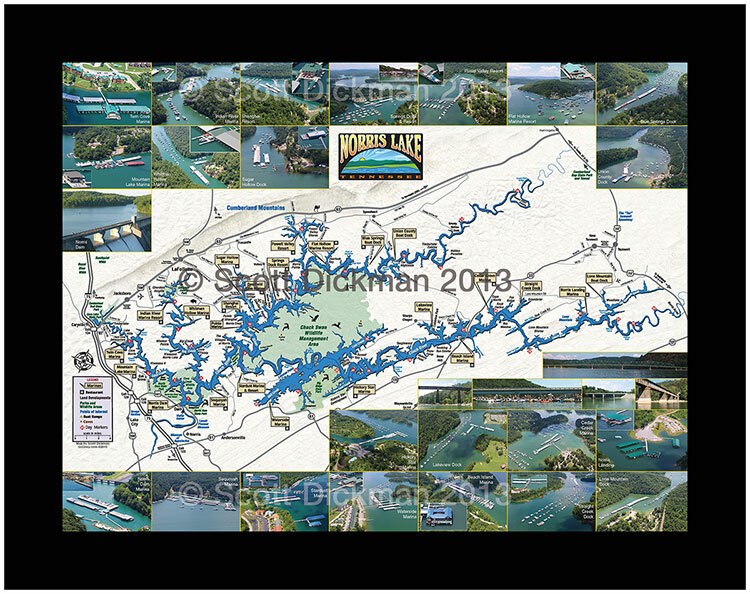 Laminated lake maps, canvas maps, framed maps, and wall paper maps. 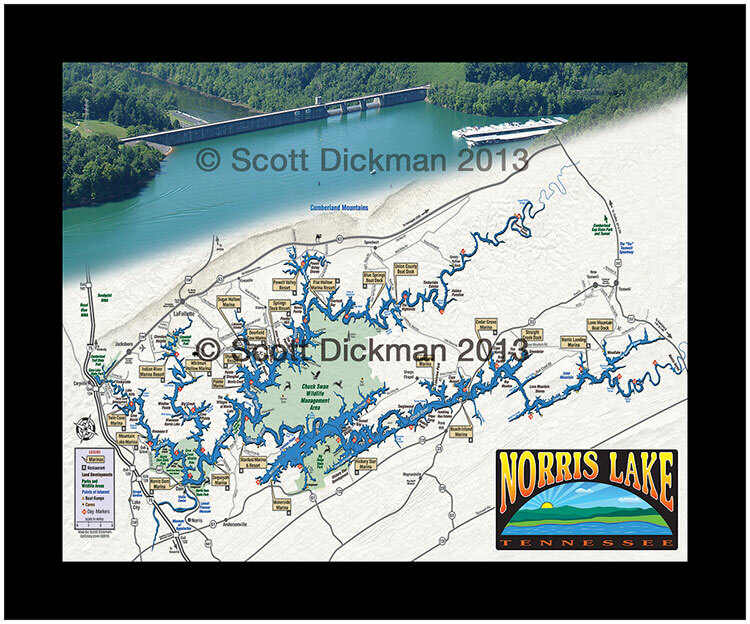 available for your boat, house or houseboat! 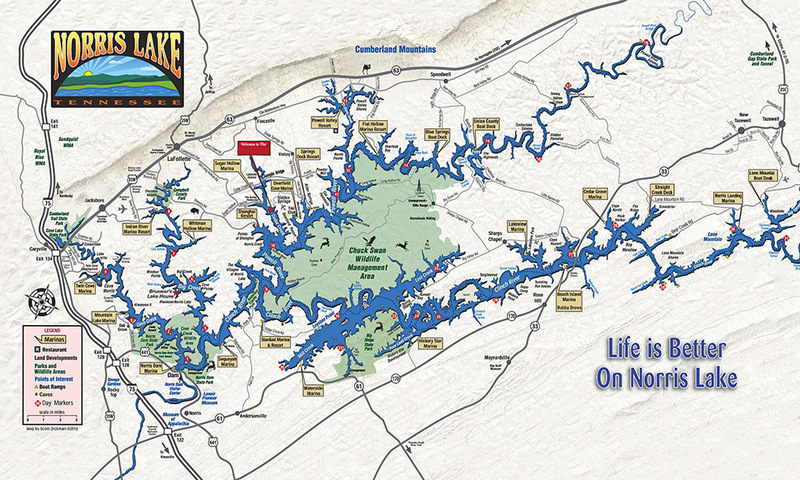 Norris Lake Aerial Photos of every marina, the dam, developments, bridges and landmarks are available.